A federal judge has temporarily extended an injunction against the public release of instructions for building plastic firearms using 3D-printers. 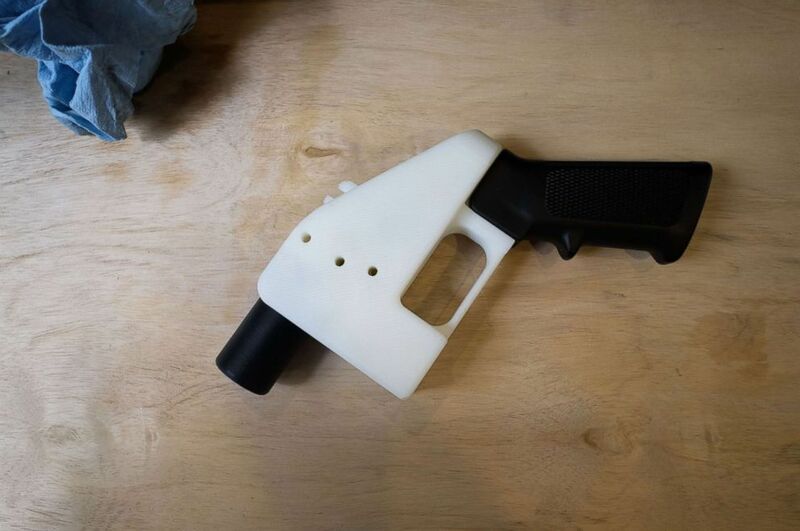 Judge Robert Lasnik of the Western District of Washington in Seattle ruled in favor of 19 states and Washington, D.C., that are seeking to block publication of plans for creating 3D-guns after the State Department settled a multi-year legal dispute with Defense Distributed that allowed the firm to post the blueprints online. The ruling blocks the Trump administration from allowing the Texas firm to release the plans at least until the states' lawsuit over the issue is resolved. Lasnik said Cody Wilson, owner of Defense Distributed, wanted to post the plans online so that citizens can arm themselves without having to deal with licenses, serial numbers and registrations. "It is the untraceable and undetectable nature of these small firearms that poses a unique danger," Lasnik said. "Promising to detect the undetectable while at the same time removing a significant regulatory hurdle to the proliferation of these weapons - both domestically and internationally - rings hollow and in no way ameliorates, much less avoids, the harms that are likely to befall the states if an injunction is not issued." Wilson has argued that the court's injunction forcing him to take down the blueprints violated his freedom of speech. Lasnik's decision today extended a temporary restraining order he issued in late July after the State Department reached the settlement with Defense Distributed following the agency's removal of 3D gun-making plans from a list of weapons or technical data not allowed to be exported. A lawyer with the U.S. Justice Department had argued against the court's injunction, saying possessing 3D plastic guns is already against the law, and the federal government is committed to enforcing that law. The New York attorney general tweeted that their office will "not allow the federal government to endanger New Yorkers." "Plaintiffs have a legitimate fear that adding undetectable and untraceable guns to the arsenal of weaponry already available will likely increase the threat of gun violence they and their people experience."